Milan (AFP) - Paul Pogba may be playful off the field but when it comes to the ruthless world of professional football, the France star is as shrewd as they come. And business is usually a family affair. "His mother is the only person Paul listens to all the time," a close family friend told AFP during an interview with Pogba's mother, Yeo Moriba, prior to Euro 2016. Only 23 years old, Pogba's return to Manchester United after four successful seasons with Juventus is set to make him the most expensive player in history at 89 million pounds ($116.4 million, 105 million euros). The contracts will be signed by Mino Raiola, the Dutch 'super agent' who also represents United new boys Zlatan Ibrahimovic and Henrikh Mkhitaryan and a host of other top names in the game. But Pogba, who has become the most exciting midfield prospect of his generation, has never lacked ambition, nor sight of where he is going. Although his 25-year-old twin brothers Mathias and Florentin play at Partick Thistle and Saint-Etienne respectively, Pogba was "always the most talented of my three sons, even when he was very young," his mother told AFP at her apartment in Bussy-Saint-Georges, a gift from Pogba. At 14, Pogba spent one season in the youth ranks of Le Havre, going on to make his France under-16 debut in 2008. Those performances sparked interest from Arsenal and Juventus, but United won the race to Pogba's signature. United signed Pogba to a deal in 2009, although they later had to be cleared, amid Le Havre's protests, of any wrongdoing by a FIFA-appointed judge. 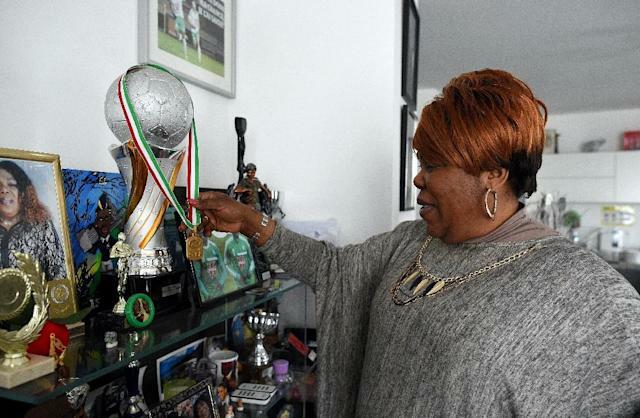 It was an early sign of Pogba's drive, but it came only after the approval of his mother -- a practising Muslim who says she "thanks God every day for the gift he has given" to her sons. When the president of top French club Lyon, Jean-Michel Aulas, lashed out at the fact an emerging French star was moving abroad, 'Maman' stood firm. "I really didn't appreciate the way he spoke down to us, so I raised the tone a little. That must have been strange for them," said Yeo, who had to be equally strong-willed amid faint accusations in the French media of "profiteering" from her son's move. If onlookers thought she would then bend to the will of United's tough-talking manager Alex Ferguson, they would be mistaken. After two years of starring for United's youth and reserve teams, Pogba's highly-anticipated move up to United's senior side looked set for the 2011-12 season. Even Ferguson admitted: "If we hold Pogba back, what's going to happen? He's going to leave." But when the fiery Scot opted to call veteran midfielder Paul Scholes out of retirement instead of offering Pogba his chance during a frustrating first season at Old Trafford, the die was cast. 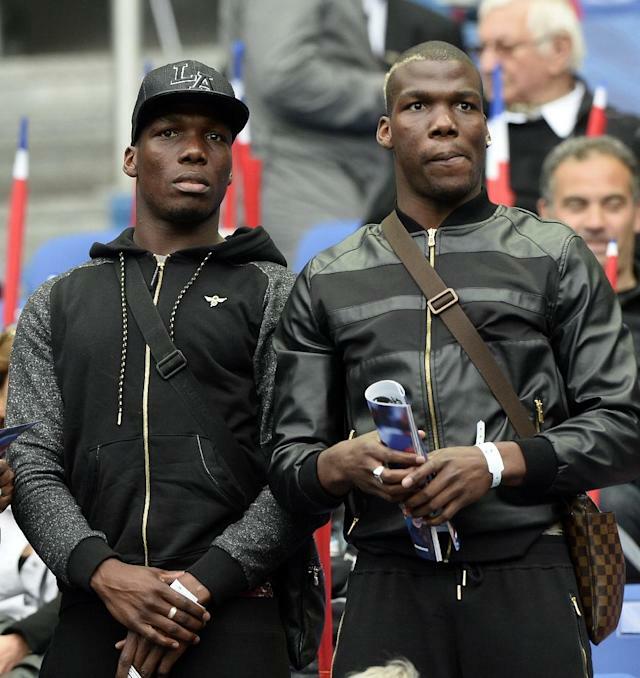 A family council was held and Pogba dropped a bombshell by quitting United for free to join Juventus in July 2012. "Ferguson punished him by not letting him play," said his mother. "He even cried in Ferguson's office for the way he was treated." A last-ditch attempt by Ferguson, during a visit to the Pogba family home, fell on deaf ears. "He came here by himself," said Yeo, laughing at the memory of Ferguson's visit. "The Red Devils' boss came to negotiate, but it was too late. We discussed together with his brothers and we all decided: he won't sign again." United's loss was Juve's gain, Pogba benefiting from the Italian club's no-nonsense disciplined approach under Antonio Conte then Massimiliano Allegri to hone the skills that have made him one of the world's most exciting players. While in Turin, Pogba's creative game flourished while he improved his all-round defensive skills. 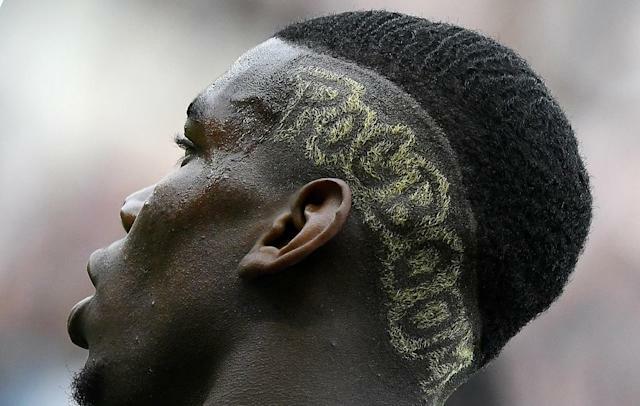 His penchant for the occasional long-range rocket means he is now known as 'Pogboom', a nickname he has incorporated into his many, zany hairstyles. A playful sort off the field, Pogba likes to celebrate his goals by performing the 'Dab', a popular dance that began in American sports arenas as a tribute to the hip-hop music scene. During four success-laden years with Juventus, Pogba did the jig on nearly 30 occasions on his way to winning four consecutive Serie A titles and two Italian Cups, although he missed out on Champions League glory with defeat to Barcelona in the 2015 final. United, powerless when Pogba walked away in 2012, will be hoping to see more of the same this time around.